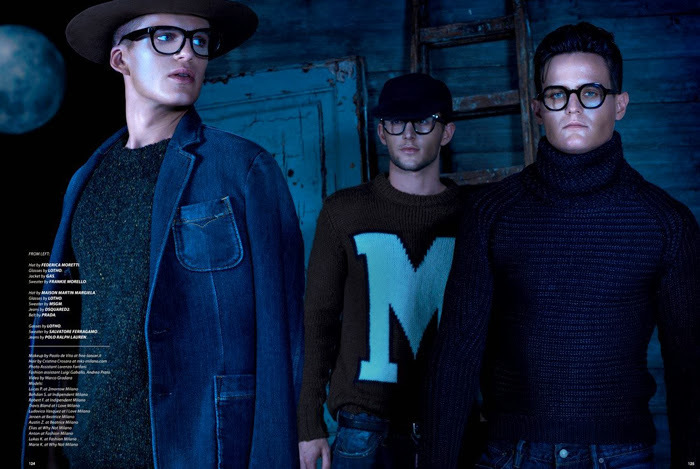 'American Gothic' photographed by Giovanni Squatriti for the July/ August 2013 Issue of Essential Homme Magazine. Styling by Giuseppe Ceccarelli, hair by Cristina Crosara and makeup by Paolo De Vita. Models featured: Marie K, Lukas Katinas, Jeroen, Travis Bland, Lucas Pacheco, Bohdan Stupak and Ludovico Vazquez.